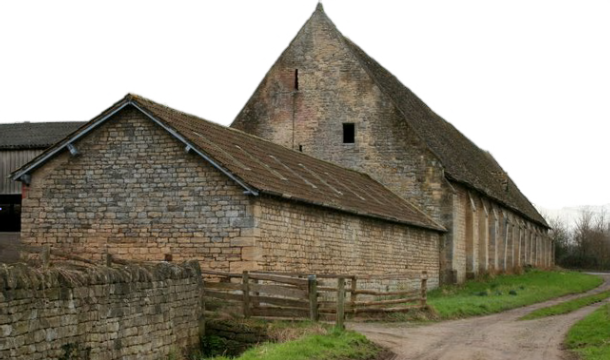 The great barn at Frocester Court has been in agricultural use for 700 years. When we visited in early spring it was full of young animals and their mothers. We visited later in the year so that we could photograph the interior. It was built in the late thirteenth century. It is over 56 metres long and 9 metres wide. It was part of a grange farm belonging to Gloucester Abbey. At the Dissolution it was granted to Edward Seymour, the Duke of Somerset. The manor has had many owners since, but the barn has always been in agricultural use.